Come and join the newest server on e-sim!! 3...2...1... OPENING A NEW SERVER! Start to play at the very beginning. 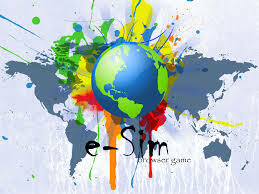 e-Sim is a MMO game which reflects real world. Citizens of virtual countries form own governments, set up production companies and unleash world wars. Represent Great Britain/ Ireland on a new server. Now we have a chance to become the most powerful country in Europe! Fight for your country and earn real money gaming online. Make money online by creating companies and selling your stock on the open market.